Nothing makes a woman more stylish than to look lucky and successful throughout the year, so start 2019 right with the twelve essential things you simply must have to bring a lucky aura to your wardrobe and an auspicious confidence to your look! These are the key essentials of your wardrobe to make 2019 a lucky year for you! Wear or carry them to transcend the year’s afflictions and to attract good feng shui energy. Use them throughout the 15 days of Chinese New Year to “anoint” them with the New Year spirit. They are good for night or day, formal or casual, and you can depend on them to take you auspiciously through the rest of the year. These precious gemstones signify the treasures of the earth. Diamonds are the ultimate symbol of affluence, and something every woman should aspire to own, as there is something quite magical about the diamond. As soon as you can afford to invest in a diamond, add one to your list of New Year staples. Mothers who can afford to do so should present each of their children with one piece of diamond jewellery, a necklace for the girls and cufflinks or a tie pin for the boys. Nothing attracts abundance better than wearing real diamonds during the fifteen days of the New Year. The Chinese equivalent of diamonds is of course jade, because this wonderful green stone also signifies one of the treasures of the earth. But imperial jadeite jade is now very rare and very expensive. It is easier to focus on diamonds. 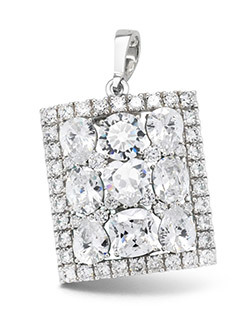 Diamonds are also stylishly classy. They stand for success and nothing adds an air of good feng shui better than diamonds. They can be the ultimate confidence booster. If you already own diamonds, add more to your collection and if you have not yet started amassing diamonds, the new year is always a great start. 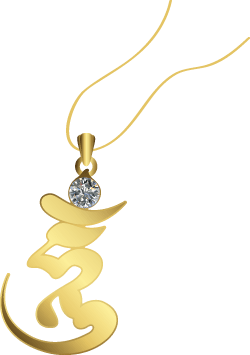 You do not need to get a solitaire – in fact it is better to get jewellery that is auspicious such as the Magic Lo Shu Square or the mystical knot or anything else that catches your fancy. You also do not need Chinese words. Auspicious words studded in diamonds in any language work just as well. If you cannot afford naturally occurring diamonds, manmade diamonds and high quality cubic zirconia work just as well. Everyone benefits from owning a pair of bright red shoes – the patent leather type is even better because they have that shiny red look! The red shoe (no need to be excessively high, but must have heels) will be very effective for stamping out all the aggravations of the year. One of the secrets known to ancient mystics is the huge importance of adding to the family wealth each year by bringing new gold into the home. This is why Royal Houses of many cultures always commission new gold jewellery or a gold ornament for the home during the start of each new year. Chinese matriarchs who are in the know are most mindful of this as they understand the big significance of “adding to the wealth of the family”. Nothing signifies wealth better than real gold. So each New Year, mothers always buy at least one piece of gold jewellery for their daughters. This is a very auspicious thing to do and the gold should ideally be worn all through the fifteen days of the New Year. It can be white gold or yellow gold although old fashioned Matriarchs always prefer yellow gold as “wong kum” sounds more auspicious. 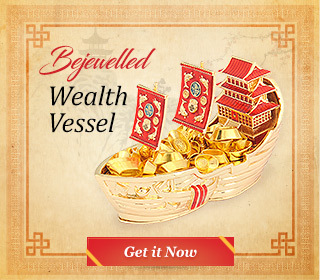 It is also important that the gold is fashioned into something auspicious such as a dragon or any of the symbols of good fortune like the double happiness word, the fook word or the sau word – each of which carries special lucky connotations. It is considered equally auspicious if the gold is fashioned into a holy object, and that is why gold Kuan Yin or Buddha images are so popular. Mantra rings or pendants with the eight auspicious signs are also considered very lucky as these attract blessings and can double up as protective amulets. The best time to get these is in time for the New Year and then they should be worn during the first fifteen days. This imbues the gold jewellery with very special energy. For those looking to find a suitable marriage partner, they should wear their peach blossom animal. Find out if your peach blossom animal is the Rabbit, Rooster, Rat or Horse and then get one of these animals in gold (preferably in solid gold) and wear it round your neck. You do not need them big, but you do need them in full gold! This will make sure that you land a really good catch – someone as good as gold! The wristwatch used to be something we all wore to tell the time. These days it stands for a whole lot more! There are so many different kinds of watches now and the designer houses of Europe have transformed the watch into such a powerful symbol of status and success that these days, everyone owns more than one watch. From a feng shui perspective, however, the watch also has great significance as it is a powerful symbol of yang energy – time relentlessly moving on, never standing still. It is always a good idea to buy a new watch for each new year because it introduces fresh new chi when you wear a new watch. Those whose luck has not been so good recently can use a new watch to transform their luck. 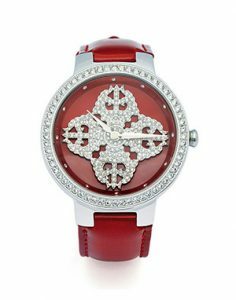 It is preferable to get a watch with a round face, as the round shape signifies the metal element as well as heaven energy, which complements the heavenly stem element of Earth of this year very well. Wear your new watch on the first day of the Lunar New Year. To enjoy good feng shui, have one big bag in readiness, like the big bag carried by the fat Laughing Buddha. This is something you can use to carry all your shopping and to signify your readiness to receive all the goodies coming into your life. 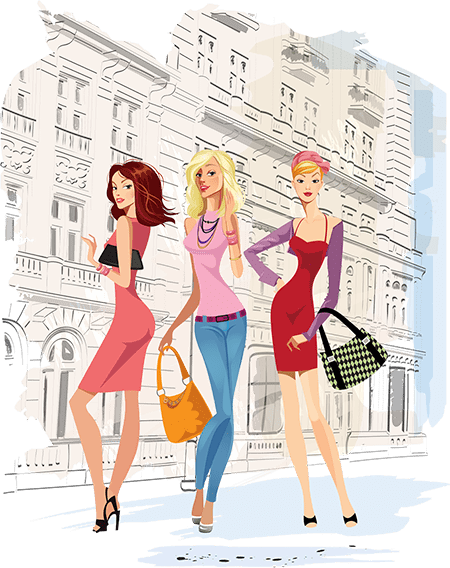 If you examine all the most successful designer labels selling bags, you will find that the most popular brands are those with really nice totes to choose from. Invest in a tote that can take you anywhere – to the beach, shopping, traveling, or for work. Getting such a bag during the New Year is meaningful as it signifies an expectation that the year will bring so many good things you need a huge bag to carry them all! Few things are as auspicious as the crimson wallet! Such a wallet attracts money luck, making sure you are never short of cash. 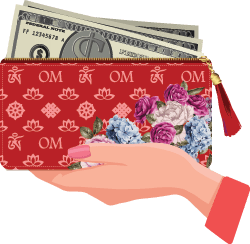 The red wallet is also the best way of ensuring that whatever wealth luck you already have will not be easily reduced or taken away from you. Even if you already own a red wallet, you can always do with an extra one. These days all the designer houses are offering delectable wallets in the brightest of reds. And in 2019, the Wealth Element of the year happens to be Fire, making the red wealth wallet doubly effective as wealth enhancers. When you give red packets to your children, ensure they enjoy good fortune for the whole year by giving them their red packets inside a wealth wallet. Do this if your children have started working or are in business, as this kind of luck – to have their parents give them money inside a red wealth wallet during the new year – is very auspicious. Those who wish can also buy themselves a red wallet with wishfulfilling mantra wallet and start using it on the first day of the New Year. If for some reason you did not get yourself one in time, another good day to start using a new red wallet is on the 8th day of Chinese New Year. These add an air of instant chic. To become lucky one must learn to relax and have the ability to slip into something casual and still feel and appear stylo milo. So you’ll need a really good pair of denim jeans that can take you easily through the year. Let your new jeans get officially “blessed” by the auspicious energy of the New Year by wearing them in then. If you want the rest of the year to be easy with an air of relaxed living, then make certain there are days during the new year when you wear a comfortable pair of denim pants. Why denim? Because this more than anything signifies the energy of our modern age. Blue jeans are pretty much the accepted mode of casual chic, so go with the flow. Get yourself at least one pair. Get more if you wish, but make sure you wear in at least one pair during the New Year. Another great idea is to get yourself some mantra jewellery. Get an auspicious seed syllable in gold. You can pick your syllable based on what aspiration that is most important to you. Nothing works like the classic white shirt for emphasizing the power of yang. In yin and yang cosmology, while the essence of both are required to attract good balance and harmony, we also need more yang than yin. The white shirt is stylish for any kind of occasion and you can wear it with jeans for a casual look, or with a satin or velvet skirt for a more serious look. It can be dressed up with diamonds or dressed down with chunky accessories. So it is truly a staple which everyone should own. Make sure you invest in a nice crispy white shirt for the New Year. Get one in silk or in very good cotton, but make sure it is basic and not too busy. Something pure white is better than cream or grey. A pure white shirt is excellent feng shui as it stands for the finest unblemished purity and also signifies the all-important Metal element which in 2019 symbolises resource luck. The white shirt will help remove obstacles that come your way. This coming New Year, wear your white shirt for the first time on the 10th day, which falls on Feb 14th 2019. Everyone should make at least one bright red outfit each New Year. Nothing does it better than red when it comes to starting the year right and making sure this ultimate of yang essence is carried right through the 12 months of the year. Red signifies the Fire element and is wonderful for suppressing negative vibes. It creates an aura of positive energy that exhausts anyone who tries to aggravate you. Vermillion red has the power to attract maximum good fortune. The most beneficial time to wear something red – a dress, cheongsam, shirt or even a whole suit! – is on the first and fifteenth day of Chinese New Year. On the first day RED signifies a fabulous start to the year, while on the fifteenth day RED celebrates the night of the first full moon. This is especially lucky for young unmarried ladies as wearing red attracts excellent marriage luck. For good measure, also make sure your cheeks are well rouged, your fingers well manicured and your lips suitably glossed. Everyone should invite home their zodiac allies and secret friend. 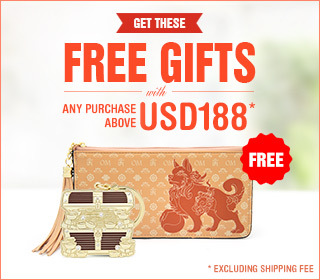 Get these as soft toys, figurines, decorative ornaments, keychains or lucky handbag charms. These will bring you supportive vibes that help you enjoy a brilliant year. 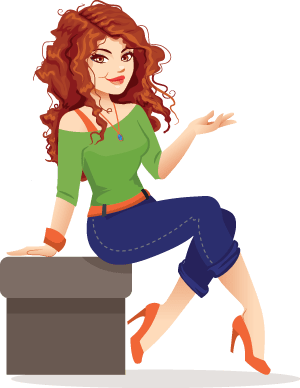 In feng shui astrology, the presence of your zodiac allies and secret friend is the key to getting through the year with no mishaps and great support luck from your friends. Your allies and friend is based on your animal sign. This determines which of the other zodiac animals are good for you and which are hostile to you. Thus if you are a Dog, invite the Rabbit into your life. This is because the Rabbit is the best friend of the Dog. 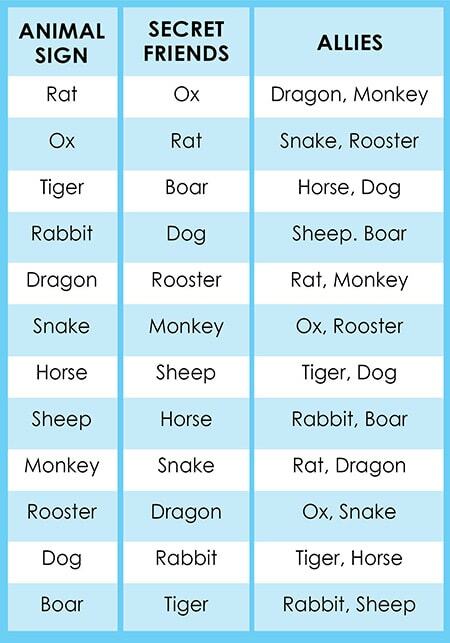 If you are a Rat, get an Ox. If you’re a Snake, get yourself a Monkey charm. And so on. For glamourous outings, nothing works as well as a gold evening bag. This is a stylish and auspicious “must have” for any feng shui conscious lady. Invest in a gold evening bag at the start of the year so you can use it for the first time during any of the 15 days. Carry this gold evening bag on the night of the full moon so that when you use it through the year, it has already captured the chi energy of the first full moon’s rays.